Enrollment is open. Click on the links so you can register for your favorite activity. Enjoy! This extraordinary Canadian artist is one-of-a-kind for her skillful combination of traditional techniques and an innovative use of felt. Using unusual materials, Graham manages to bring to life three-dimensional objects markedly multisensorial. 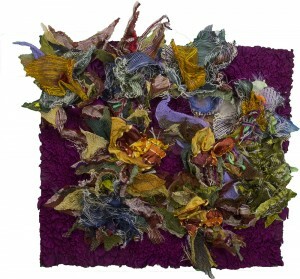 With her, we will learn to create landscapes with felted dimensional reliefs. 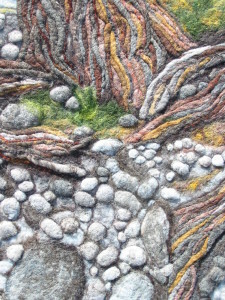 Using a wet felted canvas as the starting layout, we will then add additional elements such as rocks and vegetation using classic felting needles. In order to participate, an extensive experience with sewing, fiber art and textile-processing techniques is not required, but any previous experience will allow for a deeper exploration. She was the first contemporary Japanese quilter to storm the international scene with works which boldly reinterpret traditional quilts. 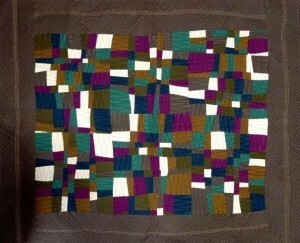 Goke has won numerous competitions and her works are on display at the New England Quilt Museum in Lowell, Massachusetts. During the lab for Verona Tessile, the Japanese artist will explain to participants how to make a bucket bag starting from strips of fabric cut, sewn and reassembled, thus learning a new patchwork technique. 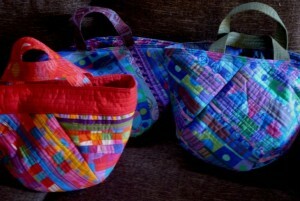 In order to participate, knowing how to use the sewing machine and having basic notions of patchwork is required. Goke will also host the Stack, Cut & Rearrange Lab, teaching us a new contemporary patchwork technique that will inspire the creation of new textile projects. The workshop will entail realizing a vibrant and original tapestry starting from five different overlapping fabrics through cuts and rearrangements. The artistic-textile duo, Damss, will host the fourth workshop in this edition of Verona Tessile. For 25 years, Daniela Arnoldi and Marco Sarzi Sartori have been designing and creating together their pieces with the goal of promoting the sustainable reuse of industrial textile scraps. Whether it be large-scale works, installations or contemporary tapestries, great, emotionally compelling pieces spring from their hands. They will host for us an experimental art day where participants will have the opportunity to create a new textile project or better yet to reinvent a previously discarded one. We will discover the potential of embellishment as an elaboration tool by learning techniques which will lead us to an unusual concept of textile art. In this case as well, as with Graham’s workshop, having specific skills related to fiber art and textile-processing techniques is not necessary, but any previous experience will make the workshop more interesting.